In Busan,we stayed in Elysee Motel which is a jump away to the night market. 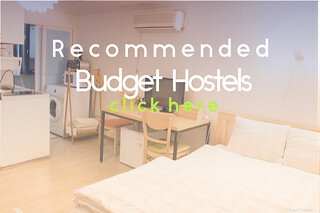 The Motel is highly recommended- for only 60,000 Won = 2500 pesos, you get to enjoy a very big room (enough for 4-5 people) with heated floors, steam and sauna bath, wifithat is fully furnished. The landowner Mr. Sungho is really friendly and helped us bigtime in touring around the city. We went here last November 2012, and overall, I super love the experience. I definitely want to go back! Again and again! Busan has lots of Hop On Hop off Off Bus. 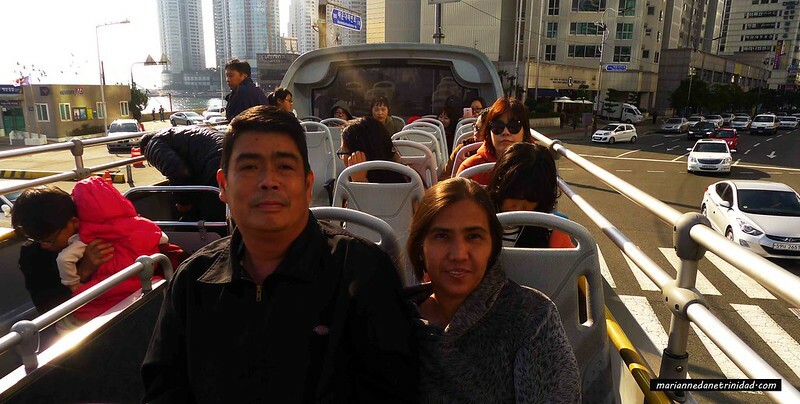 What we tried is the Busan City Tour Bus (click here for the link). 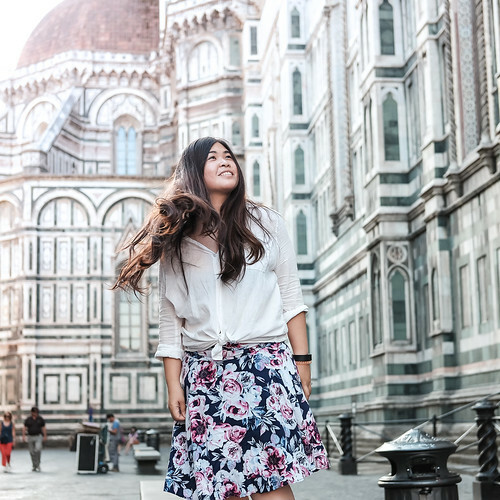 There are different loop tours you can choose from depending upon your interest – top destinations, cultural, or historical tour. We availed of 2 loop tours: (1) Haeundae Tour, and (2) Taejongdae Tour. 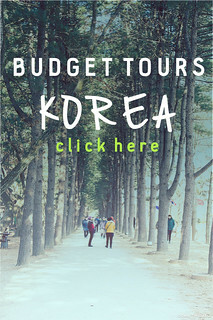 Each loop tour costs only 10,000 Won or the equivalent of only 400 pesos for an average of 7-9 destinations! Imagine the amount of money you can save instead of riding the taxi! From the name itself, HOHO, you can hop off the destinations that you want to spend some time, then just wait and Hop On for the next bus. Buses arrive every 30 minutes so you should not be worried. Mom and Dad in the Double Decker Open-Top Bus! One exciting thing about HOHO buses is that you can either choose the closed or open-top double decker. I personally prefer the open-top since it lets you feel the cold,damp air outside, enjoy the sunshine, and scream with excitement! Unfortunately, you just need to be careful if it rains. We experienced this, but the good thing is that the bus driver gives out free raincoats for the people in 2nd floor. In the end, you will be freezing cold but it’s still a joyride right? 2.) HEALTHY AND YUMMY FOOD TRIP! Korea is well-known for its healthy food. Most of the dishes are made of vegetables- one of the possible reasons why their skin is so smooth! 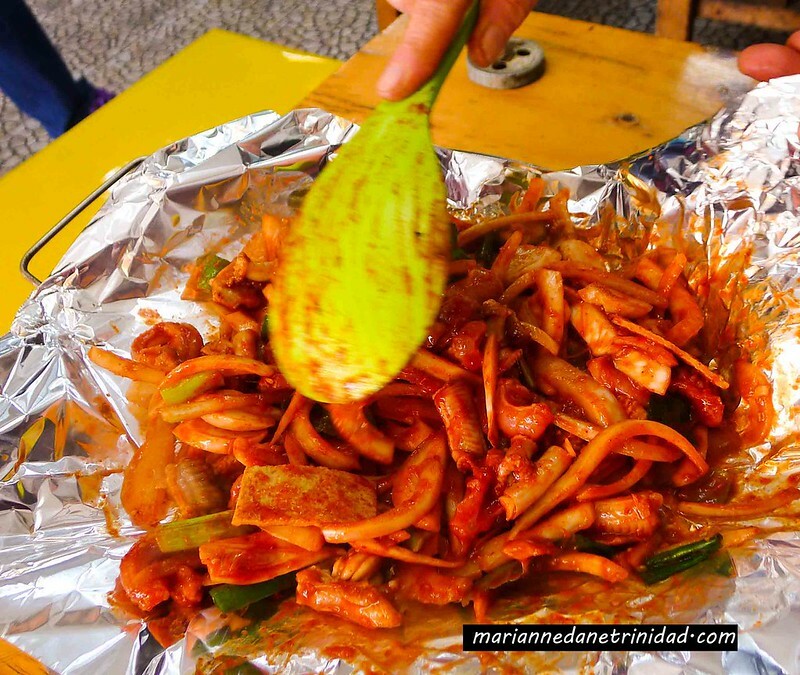 When we are here, we enjoyed lots and lots of foodtrip!To share here are some of the dished we tried! 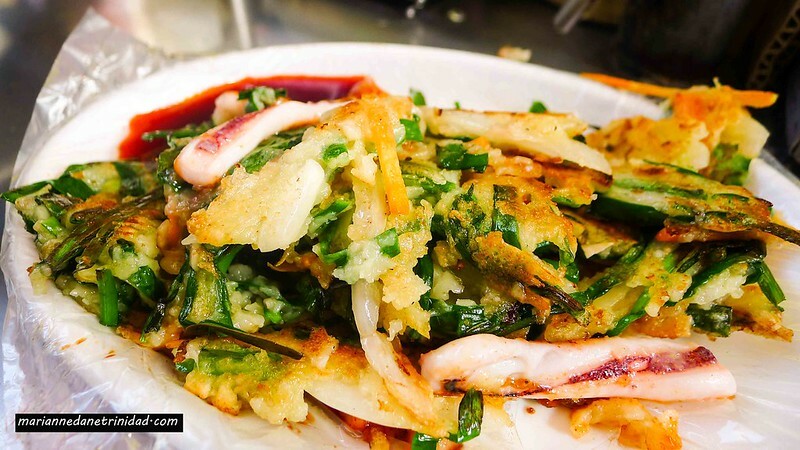 (a) Authetic Pajeon – this is a spring onion pancake in Korea made up of batter,eggs,wheat flour,rice flour, and spring onions.This is a famous street food and you can buy it for 2000 Won for 2 whole pancakes. Definitely my favorite and super authentic! So far, I haven’t tasted anything similar yet here in Philippines. (b) Chadolbagi and Samgyeopsal – this is grilled pork and fat beef. The good thing is that in Korea, you can really taste ultra fresh beef which almost melts in your mouth! Fortunately, we were able to jump into one of the buffet in the city that costs only 8000 Won per person for unlimited meat, side dishes and dessert! Chadolbagi and Samgyeopsal hot off the grill! (c) Persimmon – this is a fruit which looks like tomato, with the texture of apple, and an extraordinary sweet delicious taste! 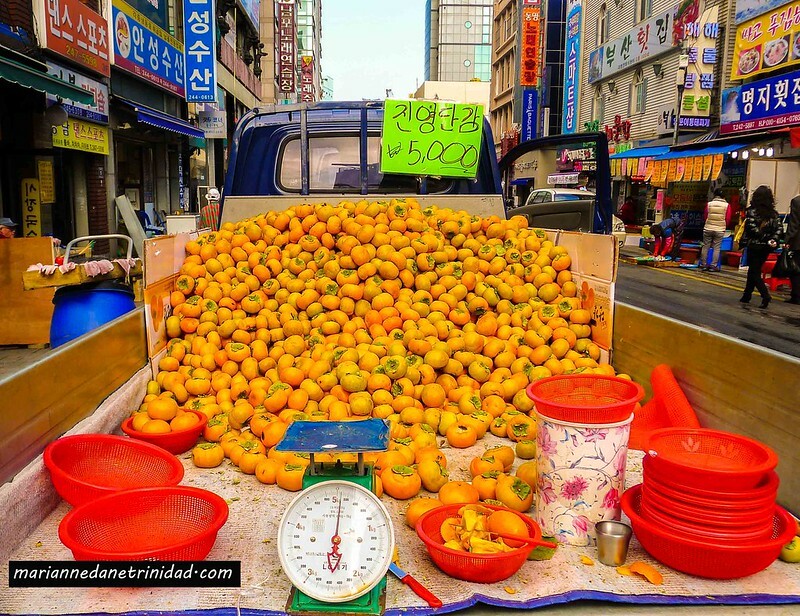 When we went in Busan, it seems like it is the season of Persimmon because we can find it everywhere! It costs only 5000 Won per basket. 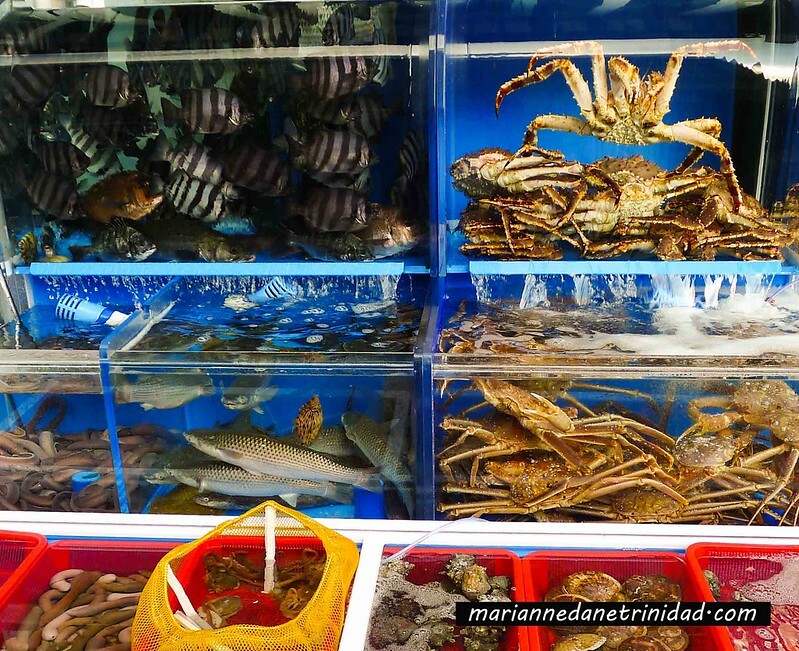 (d) Seafood from Jagalchi Market – If you want to experience fresh and delicious lunch, you can go drop by Jagalchi market via the Hop On Hop off Bus. 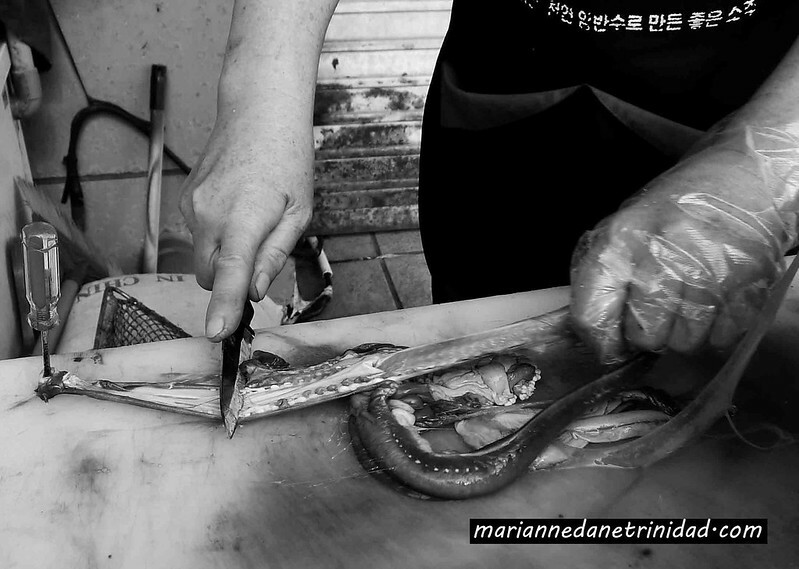 When we went here, we tried Spicy Eel ( 20000 Won), Barbequed Fish, and Buttered Shrimps. 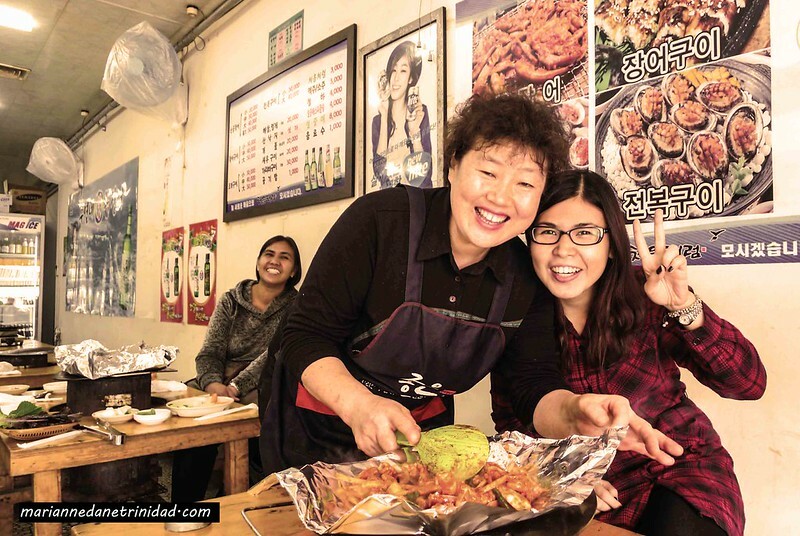 The store owners are really friendly, and the food is yummy especially if you are a big fan of spicy food! Super friendly store owner serving the food! Of course, girls will definitely be girls. 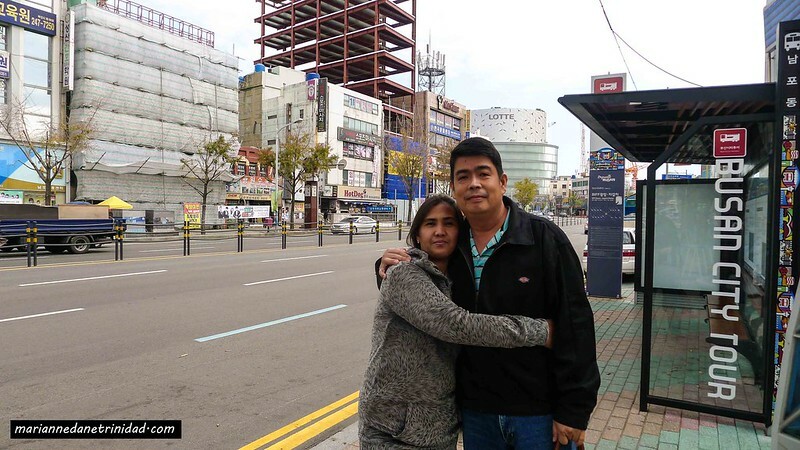 Korea, whether its Seoul or Busan is a shopping haven! If you are familiar with the famous korean brands brought here in the Philippines like Etude House, Tony Moly, and The Face Shop- all of them plus a lot more are here in Korea! 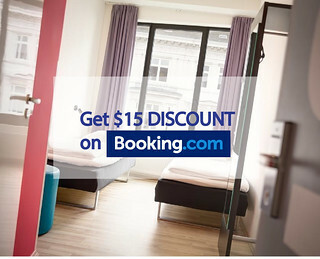 The prices of their products are almost cut off in half so you will really need to save lots of money for our trip! Personally, I bought several nail polish for only 1000 won, BB creams ( around 500 pesos only), and face masks (4000 Won for 10 pcs!). 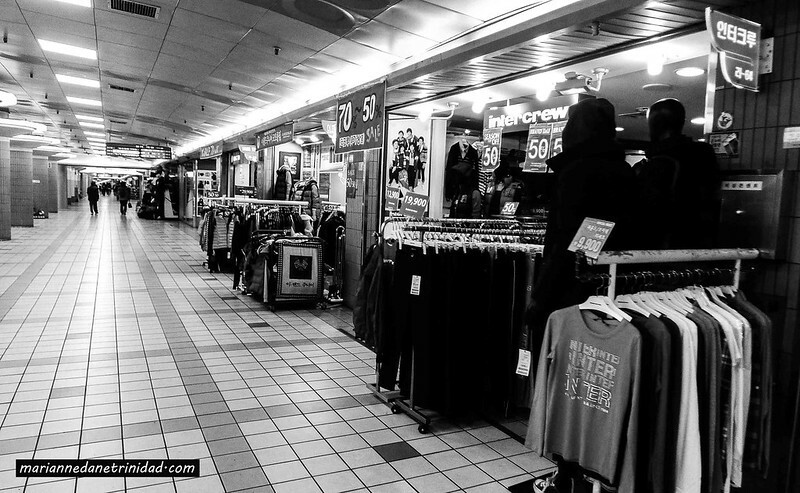 Underpass in busan also has several shopping stores. These are the top 3 things we did when we visited Busan for 3 days and 2 nights. 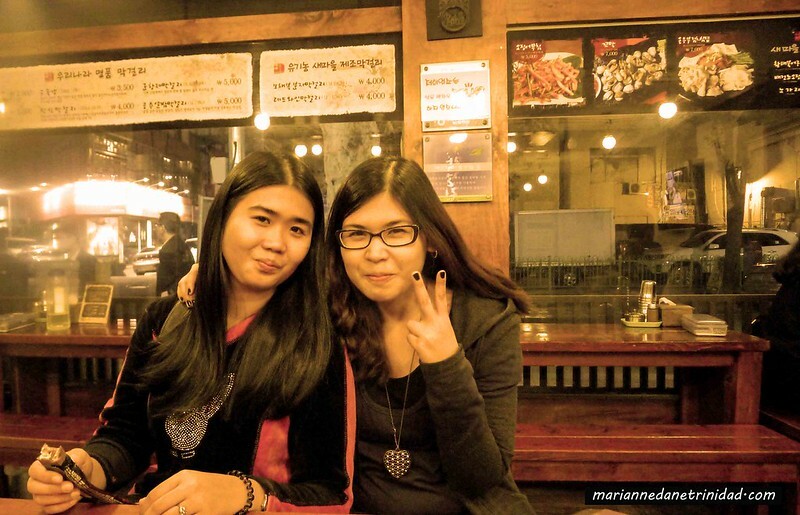 I definitely want to go back again to Korean next time- probably in Seoul, since I really super duper love the country. 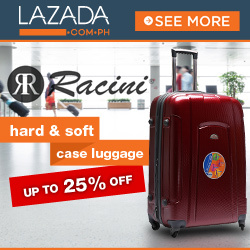 So for the next promo fare, make sure to avail of your roundtrip fare ok? Hi Marianne! This post of yours is really helpful, thank you! 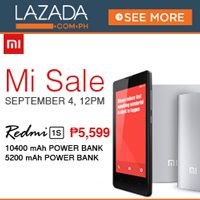 Hi Liwayway! Thanks! Actually, I forgot since we happen to just see it accidentally.. I can remember it’s across the street the Busan Main Station where you get off from the train from Seoul. It’s one of the back alleys there which has various restaurants. 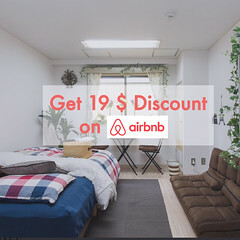 How much total did you spend for your land tours (with meals) in Busan? Hi! I’m going to Busan next week, wanted to ask where is the unlimited meat that you went to? Thanks!